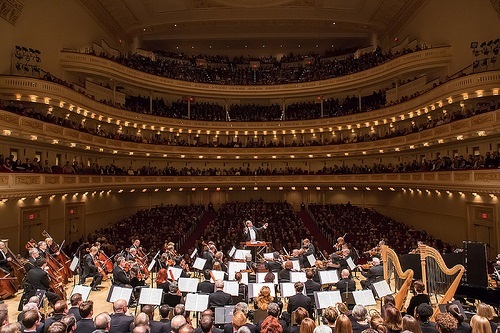 Much has been written about the shrinking of orchestras and the threat that poses for the quality of performance, especially at some orchestras known for their big sound. NPQ covered this issue in a newswire entitled “Shrinking Orchestras Meet Big Art.” In that one, we discussed the fact that the agreement that was come to after a nine-week musician lockout placed the number of full-time musicians at 77 for the current season. The plan also called for this number to be increased to 88 by the end of the four-year contract—the 2018-18 season. Evidently, it intends to do so by endowing musician chairs at $2–2.5 million a pop. Today, the first donor pledge of $1.25 million came in for one of those chairs from longtime ASO patrons Sally and Carl Gable. The Gables’ money will be matched by the Robert W. Woodruff Foundation, which last month gave the arts center a $38 million gift, including nearly $8 million in endowment matching funds. The whole price for this endeavor, therefore, is around $25 million.